I Said No Doctors! 2xLP features Dan Deacon, David Grubbs (Gastr del Sol, Bastro), Oval, Jad Fair, String Noise, et al. I Said No Doctors! double-LP is a compilation of the most groundbreaking artists of current and past decades who have redefined sound by creating and destroying musical instruments to fit a specific sonic character and method of music-making. 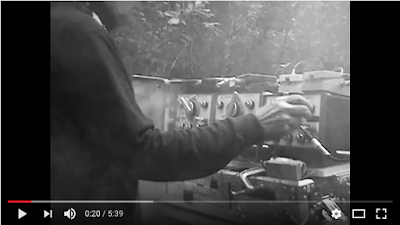 During this audio journey we hear Silver Apples’ Simeon Coxe combining bench oscillators, sound filters, telegraph keys and radio parts into one of the first electronic instruments. David Grubbs (Gastr del Sol, Bastro, Squirrel Bait, The Red Crayola) plays an alligator-clip prepared guitar. Markus Popp’s composition features his Oval Process software. Indonesian noise band Senyawa plays a modified Javanese farm plough. Dan Deacon generates an atonal barrage of MIDI-triggered pin-point notes from an acoustic grand piano. Jad Fair’s custom guitar, in which the neck attaches to the body using a system of rubber bands, allows dramatic bends. Bismuth, featuring Yuri Landman (who has built guitars for Thurston Moore and Lee Renaldo of Sonic Youth) performs on prepared guitars and other instruments created by his Hypercustom Guitars. Ciat Lonbarde’s Peter B plays the Deerhorn synthesizer. The compilation is curated by Dymaxion Groove founder Tom Tolleson, who plays a modified Fender Jazzmaster with a ¾ ratio of separate playable strings over two pickups on the album as well. I Said No Doctors! is a celebration of sound and artistry beyond the range provided by standard musical instruments.This double-LP is available in two variants, colored and black vinyl, both 180-gram, each with a digital download card. 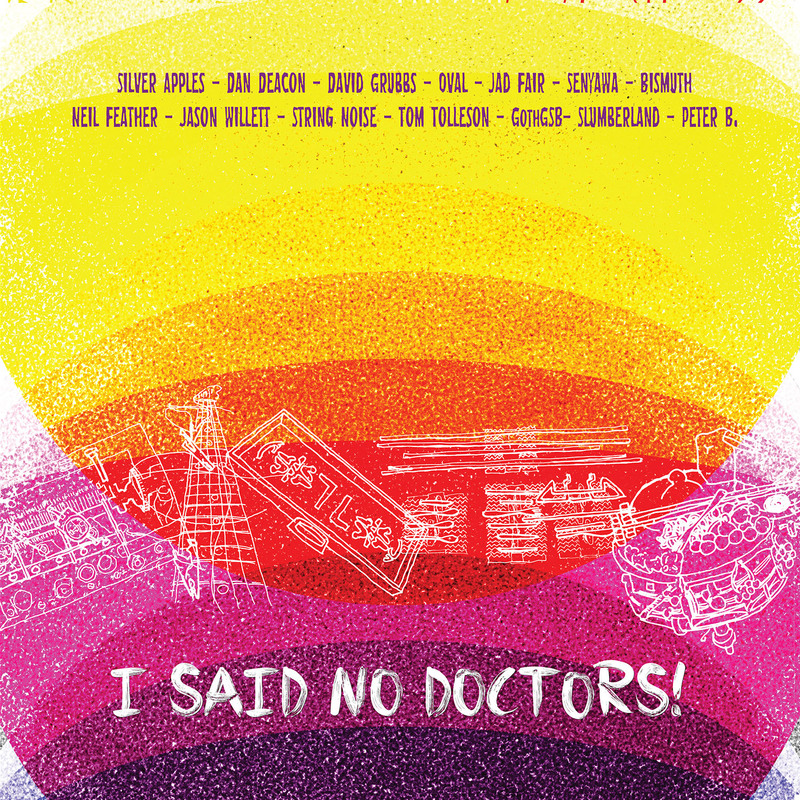 I Said No Doctors! will be available on 2xLP and download on January 18th, 2017. Pre-orders (with immediate download of the Silver Apples track) are available HERE. Album: I Said No Doctors! Austin trio The Well launch more U.S. tour dates this week, including shows with Beastmaker and RidingEasy labelmates R.I.P. (whose debut streets December 9th.) See dates below. 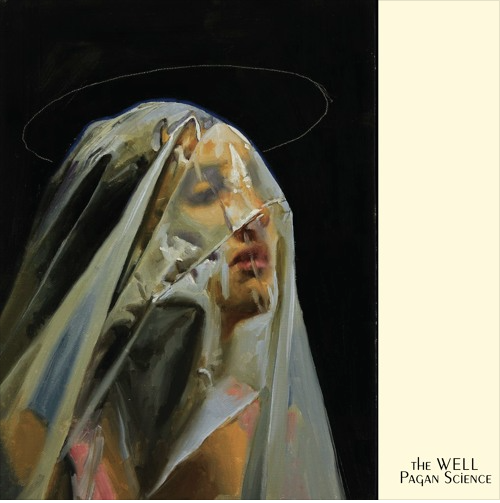 The Well are supporting their recently released, critically-praised album Pagan Science. Consequence of Sound is streaming the entire album album HERE. (Direct Soundcloud). The band was also honored last month with the release of its own beer, the Pagan Science DIPA, courtesy of Baltimore, MD's Oliver Brewing Company. The beer can features the album cover art and can be seen here. The Well was prominently featured on The Walking Dead star's Ride with Norman Reedus TV show on AMC. Not only has the band composed and recorded the series' original theme song, they also appeared on a recent episode with Reedus, an avowed fan of the band and all things RidingEasy. The impressive crux of Pagan Science, the sophomore album by Austin trio The Well, is that It's a multiplicity of itself. From the band's dual male/female vocals to their transcendently timeless sounds and erudite lyrical themes, Pagan Science is crystalline in its complexity and clarity at the same time. The Well walk an intriguing line between authentic early 70s doom/heavy psych and the more frayed-edge-of-sanity weirdness of their hometown's legendary noise rock scene, whilst also splicing in shades of chamber choir vocals, occult rock and dark folk. Sonically, Pagan Science picks up where The Well -- bassist/vocalist Lisa Alley, guitarist/vocalist Ian Graham and drummer Jason Sullivan -- left off with their widely heralded 2014 RidingEasy debut Samsara. Here, the band's heavy psych, proto-metal sound growing evermore vast, yet more focused on hooks, and their lyrics more conceptually intricate. Part of a running thread throughout the album's introspective lyrics is the notion that the world outside of one's own mind is also a creation and reflection of the interior world of that mind. And, just like the band's sound is one thing (undeniably heavy) and simultaneously another (dark folk, blues... there's even a Crosby, Stills & Nash cover, "Guinnevere"), it's this multiplicity that makes Pagan Science such a captivating record. Pagan Science was recorded with producer/engineer Chico Jones at Micro Mega Studio in 2016. Jones also previously engineered the band's debut album Samsara with producer Mark Deutrom [Melvins, Sunn0)))] in 2013. Samsara, released late September 2014 was ranked the #1 debut album of 2014 by The Obelisk and widely praised in the press. Likewise, the band's intense - some even say "possessed" - live performances have earned them featured slots at Austin's Levitation Fest in 2015 & 2016, as well as tours with Kadavar, All Them Witches, Black Tusk and more. Pagan Science is available on LP, CD and download as of October 14th, 2016 via RidingEasy Records. 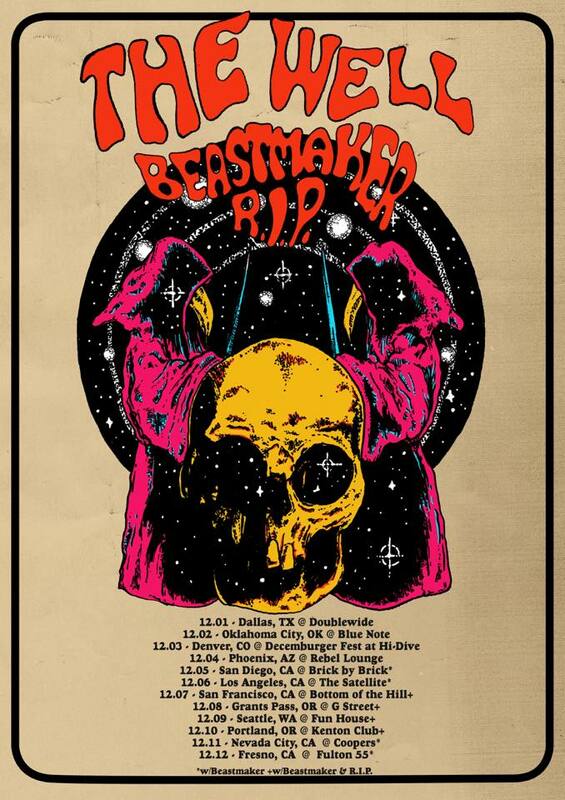 + w/ Beastmaker & R.I.P. Denver quartet Holophrase are streaming their ambitious new album Stay Being today via GhettoBlaster Magazine. Hear and share the entire album HERE. (Direct Soundcloud). 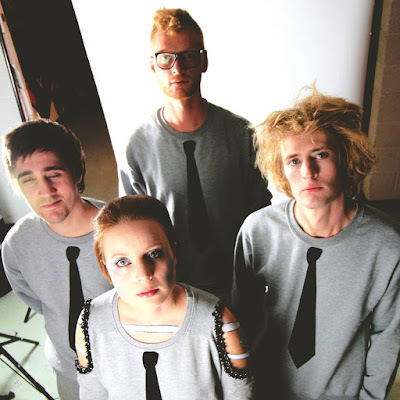 Northern Transmissions recently premiered the track "Cubicle" HERE. The Spill Magazine launched "No Matter What" HERE and TrebleZine shares "Electric Chair" HERE. Denver alt weekly Westword profiled the band in depth last week, showcasing their existence on both the city's physical and musical fringes HERE. Holophrase's new album Stay Being is the product of an extended reinvention. In 2012 the Denver based group released a promising experimental rock record with Horizons of Expectation. Recorded and produced by the late Ikey Owens at Sundayhouse Studios, Horizons was impossible to pigeonhole, drawing comparisons to early Magazine and Brian Eno. Soon after its release Holophrase lost one of its founding members and had to reconfigure and reimagine its sound and mode of operating. At that time keyboard players Luis Etscheid and Caleb Henning established their pedal making operation, Mantic Conceptual, and both entered Moog's circuit bending championship with Etscheid coming in first place in 2012. That resulted in Etscheid being awarded a Moog Voyager, which, once he started experimenting with the synthesizer, seemed much more interesting than playing guitar. The band's new focus meant that Holophrase essentially dropped out of playing live for two years as it retooled its sound toward an almost entirely electronic direction with Malgorzata Stacha's vocals bringing a luminously soulful quality to the gritty and beat-driven soundscapes. Holophrase had intended to record its next record with Ikey but their mentor passed in October 2014. However, Holophrase was able to bring together an unlikely group of collaborators to enrich the songs they would take in to record at Dryer Plug Studio. Drummer/producer Tyler Lindgren joined Holophrase for the first Stay Being sessions in January 2015 and shortly after became a permanent member. Nick Reinhart of Tera Melos brought his gift for unpredictable musical phrasing, Kalyn Heffernan and Joshua Trinidad of Wheelchair Sports Camp infused the music with imaginative soundscaping and The Mars Volta's bassist Juan Alderete contributed his own inventive rhythms to "No Matter What." Holophrase's new sound and vibe is closer to hip-hop than rock. However, at its heart, Stay Being is a pop album in the best sense in drawing upon and synthesizing broadly disparate influences to craft music that need not be narrowly defined. Stay Being is available on CD and download as of November 18th, 2016. 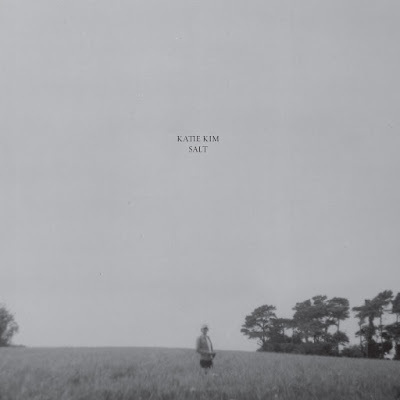 Katie Kim is the pseudonym of Irish singer Katie Sullivan, who performs slowcore, ethereal, ambient folk/pop. Her third full length album entitled Salt will be released on November 11th, 2016. Pre-orders are available at iTunes. Salt was recorded in a self-built recording and artist space in Dublin called Guerrilla Studios which has become an integral part of the Independent Irish music scene. Guerrilla has hosted live performance video collective the Practice Tapes as well as being the studio where releases by The Jimmy Cake, Hilary Woods and much more have been recorded. Salt is a departure from Katie's previous albums and delves further into the drone side of her other releases with textured production added by producer John "Spud" Murphy, who is central to the album's sonic feel. Salt comes four years after Katie's previous album, the critically acclaimed Cover and Flood and it shows an evolution musically. Since Cover and Flood Katie has toured the Netherlands, Germany and Belgium playing mostly sold out venues. She has also played Union Chapel in London and played shows in New York and Canada. Katie joined The Waterboys, singing the parts of the dark fairy queen and playing guitar and bass on their WB Yeats tour which lead to a performance on the legendary Later with Jools Holland TV show. Salt will be available on LP, CD and download on November 11th, 2016 via Bandcamp and iTunes. R.I.P. hit the road yet again after the album release for a few shows with new labelmates The Well as well as Rise Above Records' Beastmaker. Please see complete dates below. Operating on the belief that heavy metal didn't come from the forest or beam down from outer space, but rather that it crawled up out of the sewer and writhed to life in the grit and grime of the streets, the four rock 'n' roll freaks of R.I.P. call their sound "Street Doom" and spread the message with heavy touring across the United States. 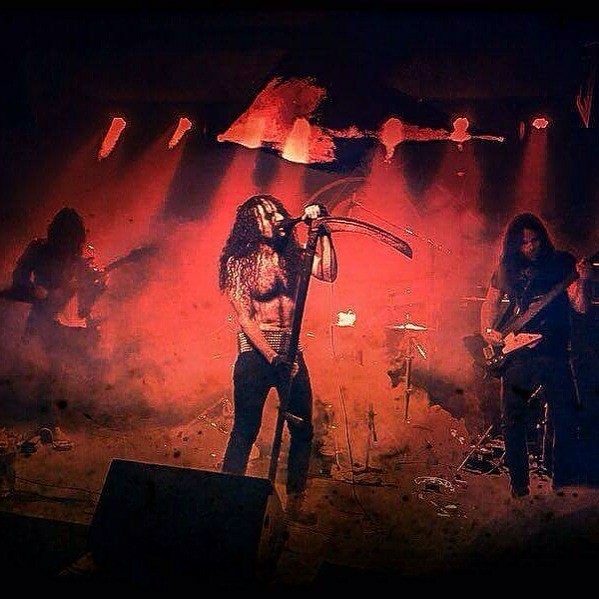 Obsessed with death and disgusted with the scene, they dragged their knuckles into the studio in 2016 and excavated a debut LP dedicated to fear and trembling, calling it In The Wind. R.I.P. 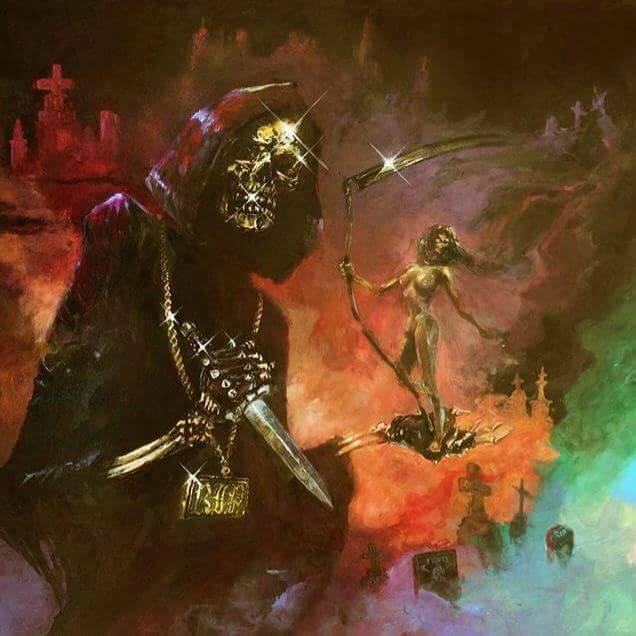 is defined by fast, regressive riffs, terrified vocals, live shows akin to near-death experiences, and steadfast adherence to the notion that doom isn't how slow or de-tuned you can play, but the combination of fear, death, and leather. In The Wind is just the right level of down 'n' dirty guttural rock that cuts and chews with raw fury. In The Wind will be available everywhere on LP, CD and download on December 9th, 2016 via RidingEasy Records. 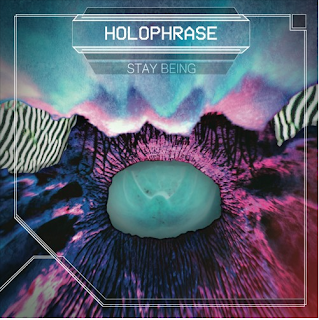 Denver quartet Holophrase premiere the first track from their ambitious forthcoming album Stay Being today via Impose Magazine. The inventive electronic dance-punk tune "Alligatron" is available to hear and share HERE. (Direct Soundcloud). Stay Being will be available on CD and download on November 18th, 2016.